By the end of 2017, you may not recognize the foods you grew up with. Trix cereal is getting less colorful and microwaveable mac and cheese is going to be less shockingly yellow. 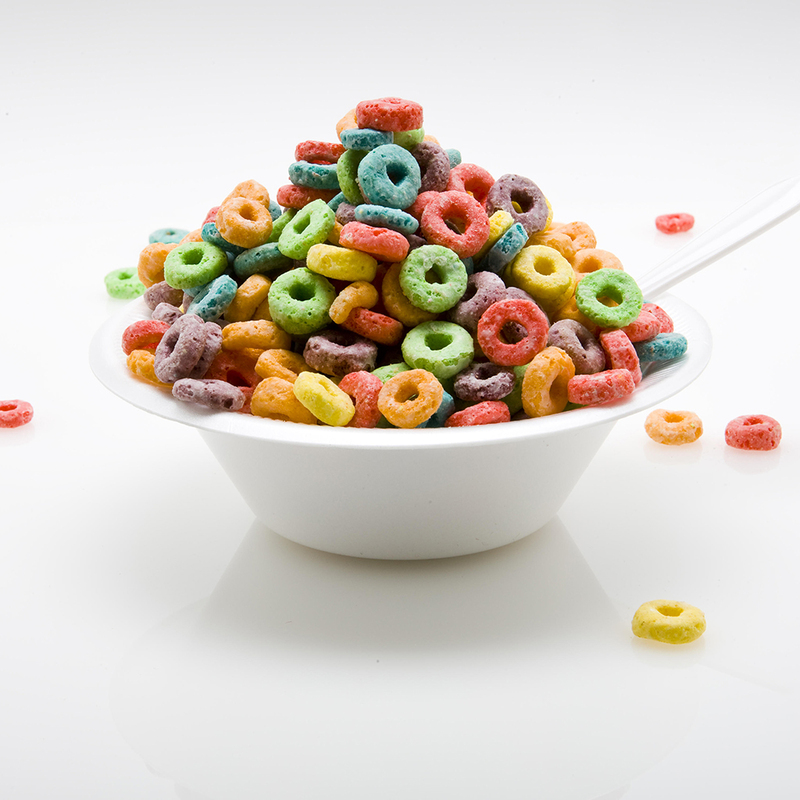 Major food manufacturers are responding to safety concerns about many of the artificial dyes they use for coloration by replacing them with more natural food dyes. Among the food producers switching out their dyes are Panera Bread, General Mills and Kraft. Since there are few natural dyes that can produce these cooler hues, like dyes made from algae, Trix is completely removing blue or green coloring. General Mills reported that they "haven't been able to get that same vibrant color" with natural dyes, which is affecting the beloved cereal Lucky Charms. A General Mills representative assured us, however, that the company is "committed to finding a way to keep the magically delicious taste." Kraft Mac & Cheese, meanwhile, is going to eliminate the Yellow 5 and Yellow 6 dyes responsible for its alarmingly bright color. The decision was made in part to contend with competitors that boast "all natural" and "organic” labels, and in part because of pressure from controversial food blogger Vani Hari, a.k.a. "The Food Babe." Hari complained that the dye is made with chemicals that came from petroleum, and that it exacerbates children's hyperactivity and negatively affects their ability to learn. However, a New York Times profile on Hari earlier this year points out that she has no training in food science, and suggests that much of her appeal comes from her sensationalism and being hot. Panera Bread is also stripping away the dubious dyes; by late 2016, there will be no more artificial colors, flavors or sweeteners in any of their products. The mozzarella will be more yellow, since they're getting rid of the titanium dioxide that keeps it white, and the cookies with candy-coated chocolate will be a little less bright. These changes are all probably worth it for everyone's safety and health, but we're going to miss the nostalgic appeal of our rainbow, totally unnatural-looking cereal.